Adding foods that are nutrient and vitamin-dense to your diet naturally brings with it health benefits and recommending these so-called superfoods to our customers brings us real joy. As a long-standing, established natural health store, nothing gives us more pleasure than finding ways to help as naturally as possible and adding to your diet has to be the most natural way around. 2017 was all about turmeric and I can’t see that trend waning any time soon. It can be used in so many ways – buy it in powder form and you can add it to soups, smoothies and yogurts. Many customers also make it into Golden Milk, also known as Turmeric Tea, and replace their traditional cuppa with this goodness-giver of a drink. The anti-inflammatory benefits of this king of spices are well-known but it also packs an antioxidant punch too. Plus, on these chilly evenings, a Golden Milk is an ever-so-slightly spicy bedtime brew that is super good for you. Another spicy superfood punch that we have been recommending recently is apple cider vinegar with added ginger and chilli – in fact some come with turmeric too. We’re finding that flavoured apple cider vinegar is another superfood trend set to continue into 2018. Many health-conscious shoppers have come to love the benefits of apple cider vinegar – including lowering blood sugar levels and as a slimming aid – but they don’t always take to the taste. Add in some spice and the taste becomes pleasant and warming rather than nose-holdingly sharp. All the celebrities are doing it, so we’re told. Spirulina is still one of our most asked about superfoods. No wonder when it’s one of the most nutrient-dense foods you can find. Customers report back with increased energy from the iron and glowing skin from the antioxidants. In fact they often buy more to start hiding some of this superpowder in their children’s meals, especially if they are fussy eaters or don’t eat quite as much broccoli as they might hope. Add it to smoothies or even create your very own Mermaid Toast by adding a spoonful to cream cheese. Trust us – Google it! Our favourite superfood has to be organic honey, not least because we all have a sweet tooth here. And something that tastes good and does you good has to be worshipped in our book. It promotes healing and contains wonderous little antioxidants called flavonoids that can help reduce the risk of major disease. Find the right one and it can give you a probiotic boost too. Just remember not to boil it if you put it in your hot drink as this can change its medicinal properties. Of course there is another form of superfood we can get from our beloved bees, and that’s bee-pollen. It is thought of as a complete food and contains everything humans need in one tiny particle. It is richer in protein than any animal source – a fact that all vegetarians love to hear. It helps your immune system, aids the digestive system and is great for energy levels. Another superpowder, it is great added to smoothies and soups and looks great sprinkled on top of a smoothie bowl. This popular store is located at 255 Woolton Road, Childwall, Liverpool, L16 8NA. Owner Kathryn Lewis had spent many years working in health stores before opening Abaca. Kathryn and her team have a vast wealth of experience within the health and wellbeing industry and promise to do their upmost to advise and support their customers. 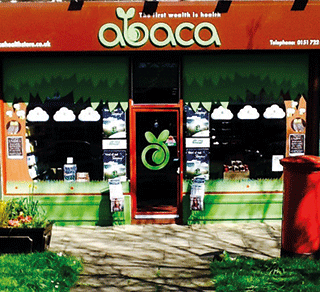 Abaca’s motto is: ‘The first wealth is health.’ The store stocks a wide range of ethically-sourced herbal remedies; essential fatty acids; vitamins, minerals and supplements; as well as health foods, sports nutrition and natural bodycare and household products. You can contact the store by calling 0151 722 6669, visiting the website: www.abacahealthstore.co.uk or following the store on Twitter: @abacahealth.